Do you use your car all year? Would you like to have a break without it? Well why not visit Exmoor and enjoy some time car free. There are two ways of doing this. Either leave you car at home or come by car and spend your time exploring the area on foot, bike, horse, bus or train! A perfect way to start getting ideas for visiting Exmoor without using your car is to visit the Explore Moor website. This has up-to-date information on public transport, timetables and car-free walks within the National Park devised and written by the Exmoor Walking Festival organiser. There is an interactive map to help you work out where everything is on the moor. Ilfracombe to Combe Martin / Lynton & Lynmouth. 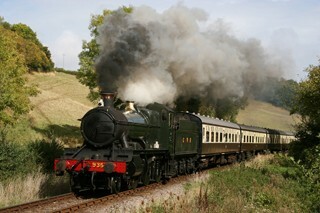 The West Somerset Railway offers a great way to travel in a relaxed style along the vale between the Quantock Hills and Exmoor National Park between Bishops Lydeard (bus link to Taunton) and the coast at Minehead. 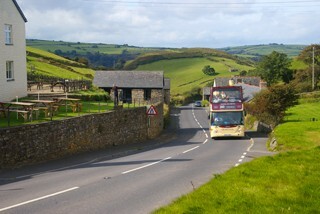 Within the area bus services cross the moor between Dulverton and Minehead and along the coast between Minehead, Lynton & Lynmouth and Combe Martin, Ilfracombe and Barnstaple. Please use traveline to plan your journey (or the ExploreMoor site if within the National Park) and note that some services are seasonal. This service is currently suspended. 1st Call Exmoor Taxis est 1992. 4 or 7 Seater taxis available. Call 07826 212511 or 01643 863355. For prices, bookings & online payments go to 1stcallexmoortaxis.co.uk.